you should thank them for banning you. 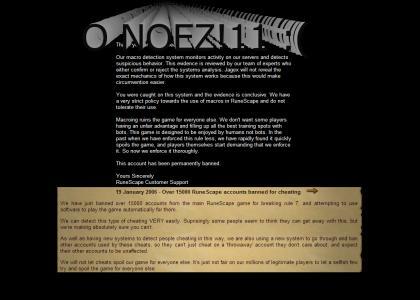 Runescape is a pathetic excuse for an mmorpg. Serves you right for being a macroer. I'm better than being a retard like that.